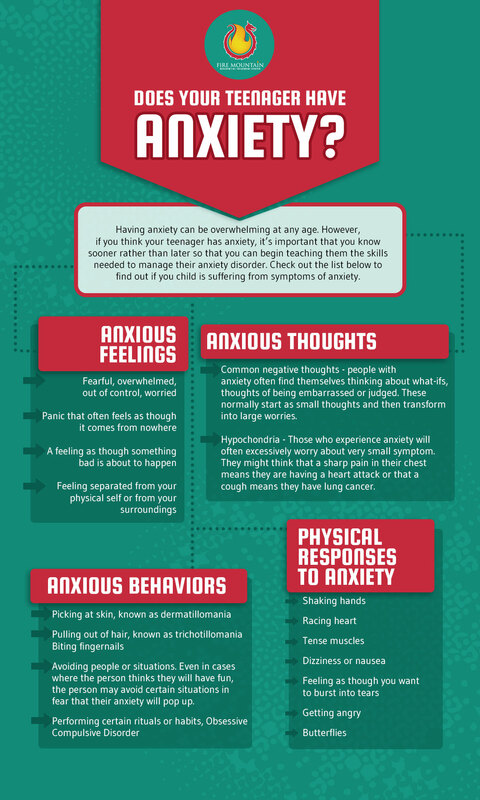 Anxiety is something that many people deal with on a daily basis. Even as an adult, having to go through your routine each day while dealing with extreme emotional and even physical side effects really does have a huge effect on a person. This disorder can be even more difficult to handle if you also happen to be going through adolescence at the same time. If you think that you teenager is dealing with anxiety and you want to help, you first need to know what the signs are and how to handle them when they pop up. Once you understand this, the anxiety will no longer be a mystery that prevents your child from feeling as though they are out of control. Continue reading below to learn more. Many people think that having anxiety is something that should be hidden. They are afraid it means that they lack strength, character or courage. The truth is that some of the most likeable, able people can suffer from anxiety. There is a thought that those with anxiety do not have the guts to deal with the real world. Let’s rework this logic: Courage doesn’t mean that you do not have the ability to be scared. After all, if you are not scared of anything, when would you need to be brave? Courage is actually pushing through something that frightens you, and this is something that people with anxiety do frequently. You don’t always need to have a trigger to feel anxious. Sometimes your brain thinks that you may be in danger when this is not the case at all. Unfortunately, this can lead to you experiencing anxiety without you knowing why. In turn, worrying about why you have anxiety causes more anxiety and the cycle continues. Remembering that your brain doesn’t always know what it’s doing can help in moments like this. Did you know that on average, approximately 1 out of 5 young people experience symptoms of anxiety? This means when a person thinks they should hide the fact that they are anxious about something, that there is likely another person in their immediate proximity that is also going through the same thing. In fact, every single person on the planet has the ability to feel anxious. Anxiety exists on a spectrum, some people have a lot and some people have a little. Different events will trigger anxiety for different people. 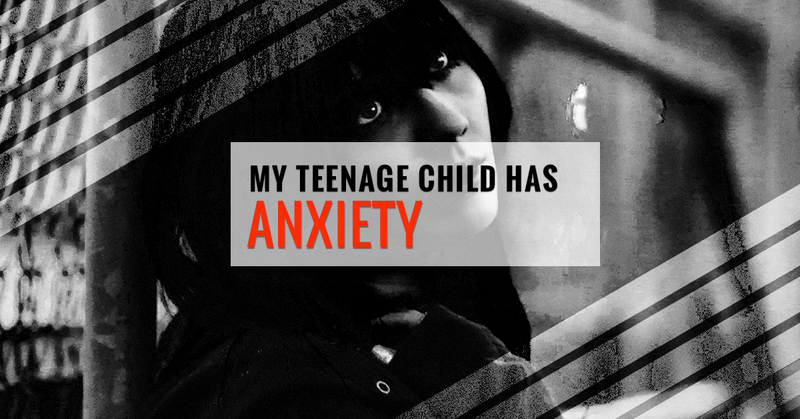 Many of the parents we talk to want to know if their teenager is really experiencing anxiety or if perhaps it is something else. In order to give you a better idea, we have put together a list of the most common thoughts, feelings, physical reactions and behaviors that those who are feeling anxious will exhibit. Common negative thoughts – people with anxiety often find themselves thinking about what-ifs, thoughts of being embarrassed or judged. These normally start as small thoughts and then transform into large worries. Hypochondria – Those who experience anxiety will often excessively worry about very small symptom. They might think that a sharp pain in their chest means they are having a heart attack or that a cough means they have lung cancer. Avoiding people or situations. Even in cases where the person thinks they will have fun, the person may avoid certain situations in fear that their anxiety will pop up. There have been a lot of studies that show that practicing mindfulness can counteract the symptoms of anxiety quite well. Mindfulness is the act of change the brain the same way that exercise changes the body. It does this by strengthening the connection in the brain and by teaching the brain to stay in the present. Many people achieve mindfulness by learning to meditate. By closing your eyes, noticing your breathing and being in the now, you can gradually learn how to control your thoughts rather than letting them control you. The positive effects exercise can have on mental health have been proven time and time again. And the great thing about this practice is that you can choose from a number of activities that you actually enjoy. Even something as simple as a 20 minute walk one or two times a day can immensely improve your anxiety and make you happier, as well as healthier. It used to be thought that anxiety could cause an upset stomach. However, over time we have learned that it actually is the opposite. When your stomach is not happy, neither is your brain. While it is entirely fine to have a cheat day once in awhile, it’s all about balance. The healthier your gut, the healthier your brain. Self love and acceptance is extremely difficult for those who suffer from anxiety. Those who suffer from this disorder can be very hard on themselves and in the words of someone very wise “people with anxiety are often guilty of telling themselves mean stories.” In other words, people who are anxious will think people are judging them or talking about them behind their back when this is absolutely not the case. Remembering that they have the habit to create these fictional thoughts of others is an important step that anxiety-ridden people need to take in order to improve their self image and love themselves more. Need Help Getting Through To Your Anxious Teen? If you would like to get a bit of help teaching your child how to manage their anxiety, we can help at Fire Mountain Programs. Contact us today and we can tell you about the services we offer to teens who need an extra bit of assistance in Colorado.